Anyone who visits the store before June 27 and spends at least $10 on any Upper Deck product will be entered into the drawing. For more information, please visit Bases Loaded Sports Collectibles at 794 French Road, Cheektowaga, call 656-0066 or email jeff@basesny.com. You can also follow Bases Loaded on Facebook at www.facebook.com/pages/Bases-Loaded-Sports-Collectibles/247591781924767 for frequent updates. 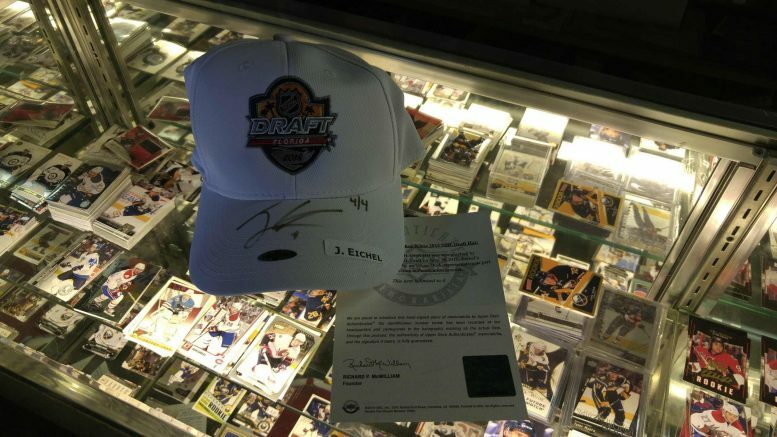 Be the first to comment on "Limited-edition Jack Eichel-autographed hat to be raffled off by Bases Loaded Sports Collectibles"